What a collection of lovely things…. 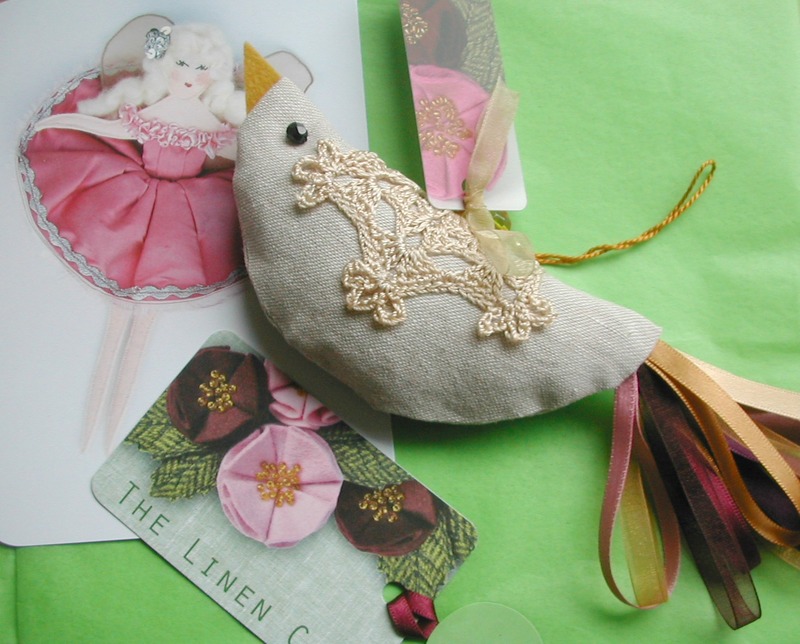 I particularly like the fabric bird. 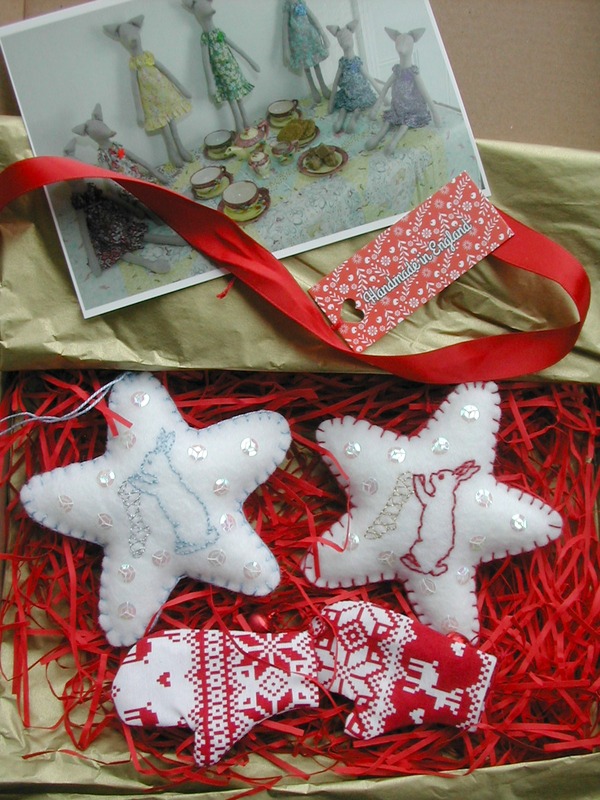 What a fabulously colourful post for a horrible dark winter’s day thank you, love those Christmas bunnies. Take heart dear Vivienne. At the rate this year is flying past pre-Spring will be here before we know it. 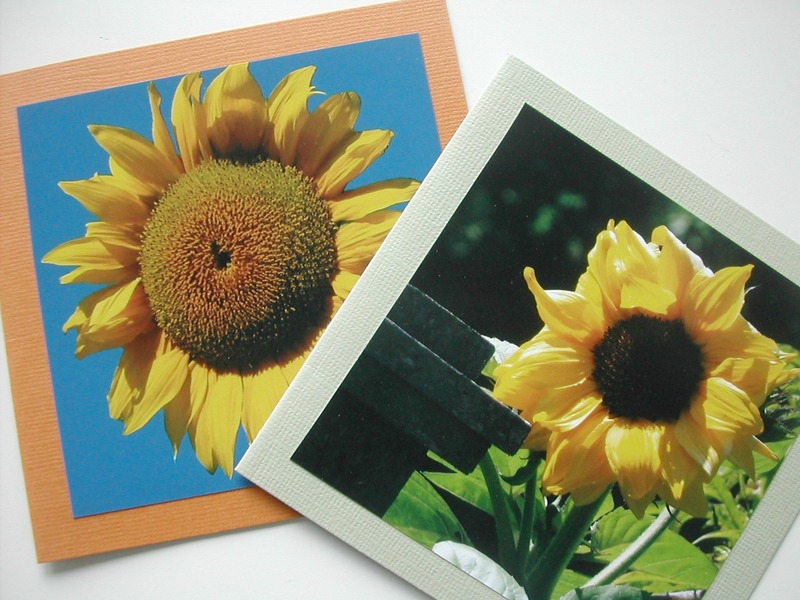 It’s wonderful to see Terry’s beautiful work here on your blog. I’ve been a fan of her exquisite take on flowers for a while now. And Debbie? That lady is amazing! She is so talented in so many creative ways. What fun and pretty packages, dear Vivienne. My Faves are Beth’s bird and the stars. It’s been quite warm here but quickly changing to rain/snow. I am getting in the Christmas mode/mood. 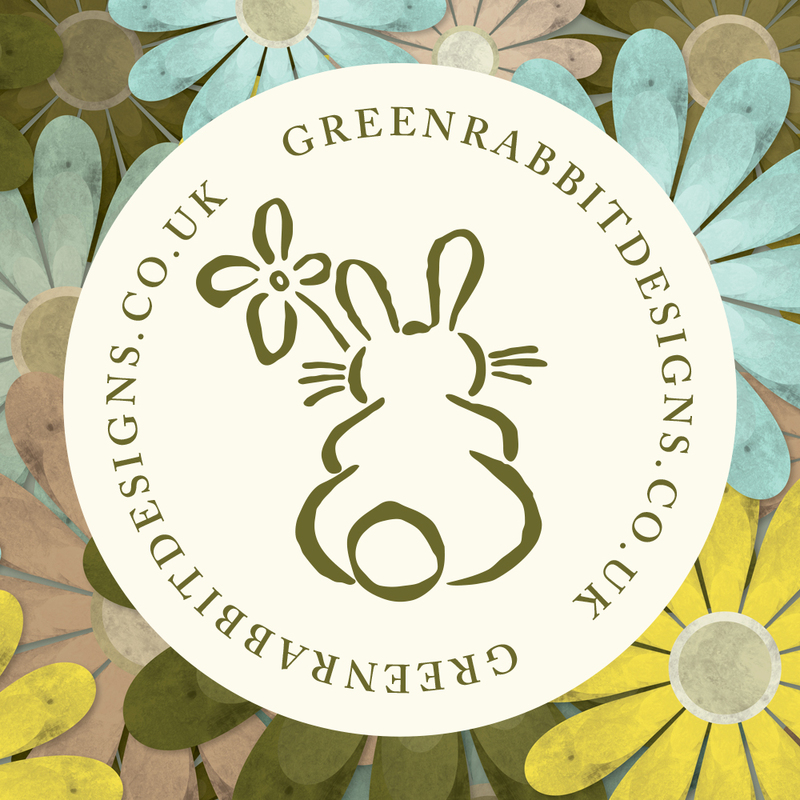 Here’s to more creative bunnies!! What lovely things to share. The sunflowers sound like a welcome gift on a gloomy day. Love the stars and the linen bird. I am sending you a big hug, I SO know how you feel with no light – but this post cheered we all up! 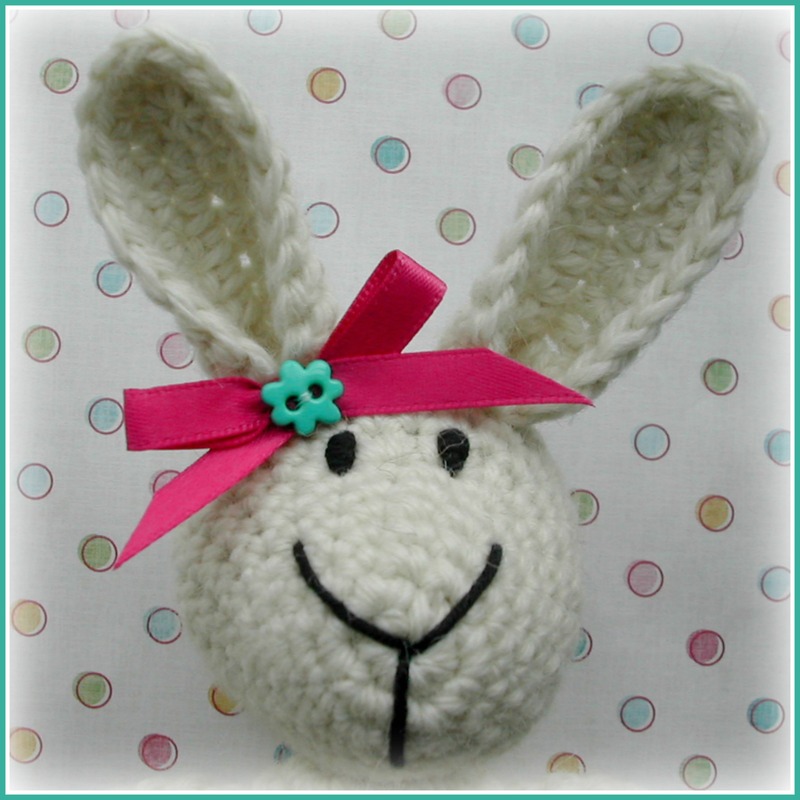 You have some lovely new things there, and some happy links to share, thank you! And the C-girls…They look adorable! Happy, more brighter days my friend! Thank you for the new makers to check out! 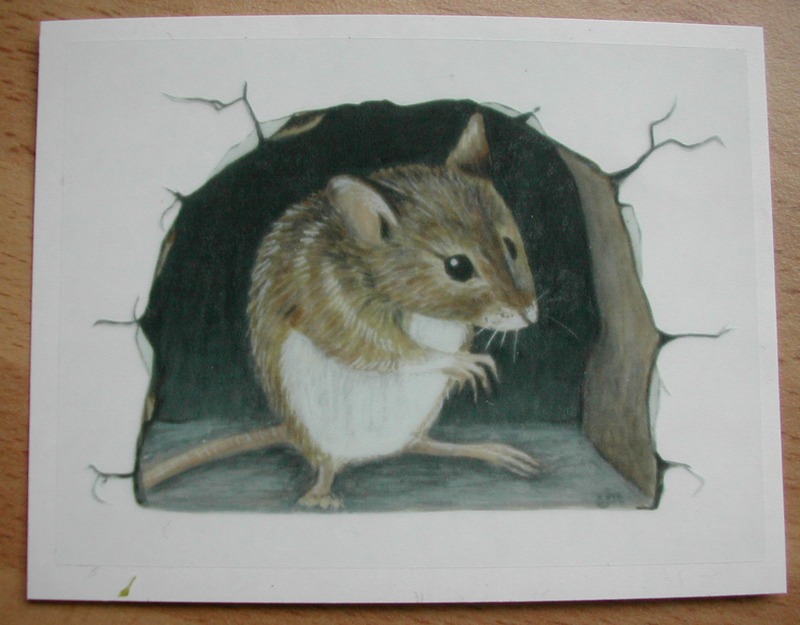 I particularly love Monty Mouse and what a great idea to make him a sticker for the skirting board. It reminded me of a piece by one of my favourite artists, Teun Hocks: http://www.robischongallery.com/html/Detail.asp?WorkInvNum=5971&artistname=TEUN%20HOCKS&whatpage=artist. What a lot of lovely things. That mouse is just so cute! Such sweet makes to brighten up your November days! Lots of lovely packages like these arriving are sure to cheer up a dull day! 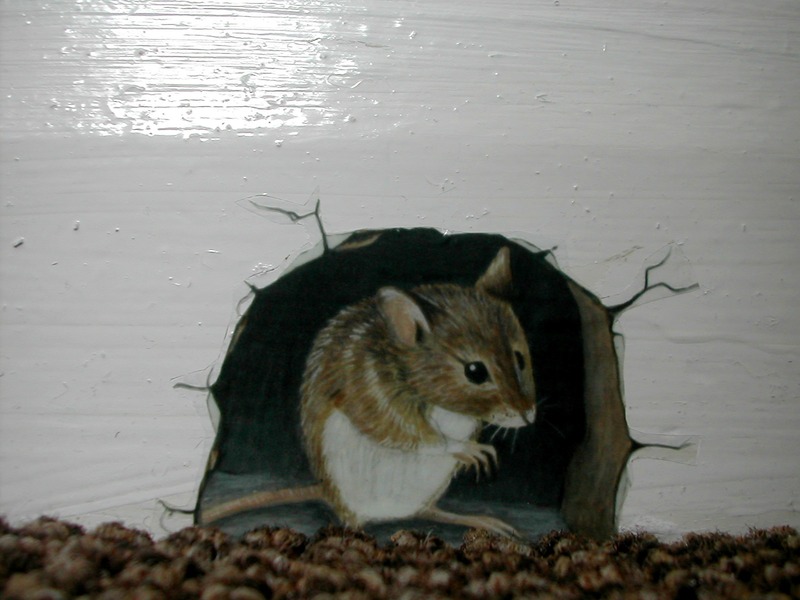 Love the mouse on the skirting, it makes me think of Beatrix Potter books. 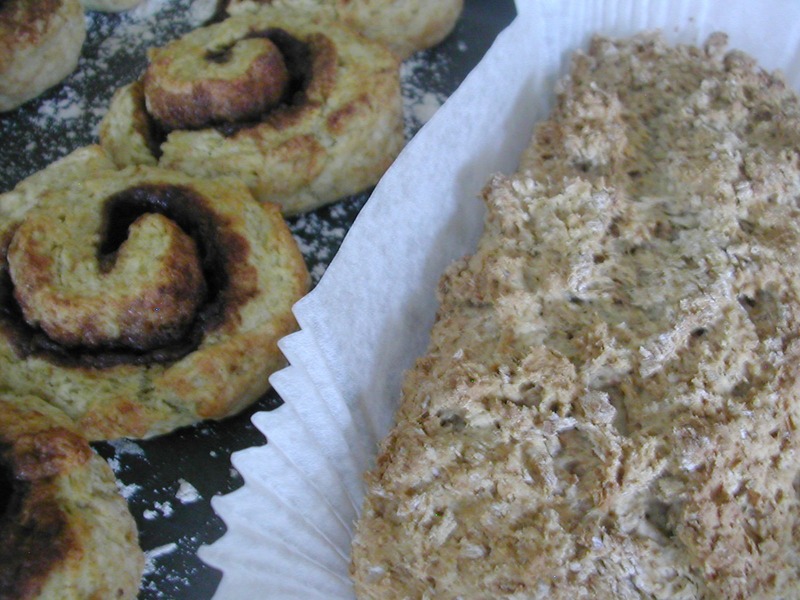 Your baking looks so delicious too! 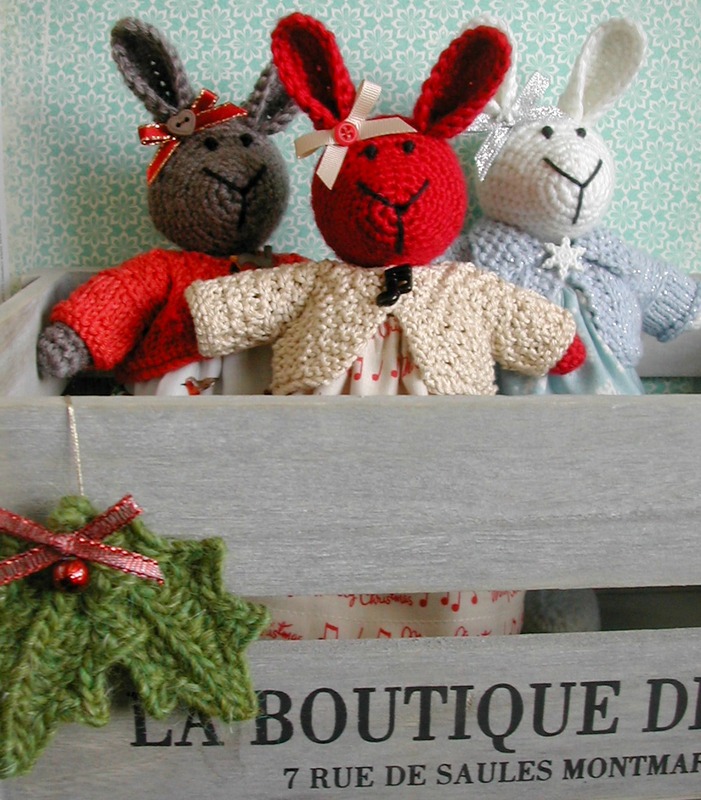 Happy weekend, dear Vivienne…..hope you have some sunshine and enjoy working on your Christmas bunnies! Loved popping by today and reading your post, Vivienne. I’m trying to lift my spirits after an operation. I’m supposed to be in bed recuperating, but I can’t settle myself, so thought I’d pop onto Blogger and catch up with a few of my favourite people.